Appreciating tea comes in many forms and one of the oldest forms is the Japanese Tea Ceremony. 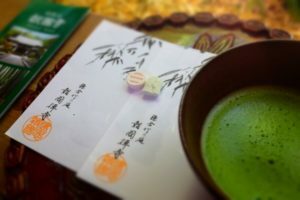 This ceremony has a rich history that encompasses not only enjoying matcha but setting up an environment to connect with ones’ guests over tea. 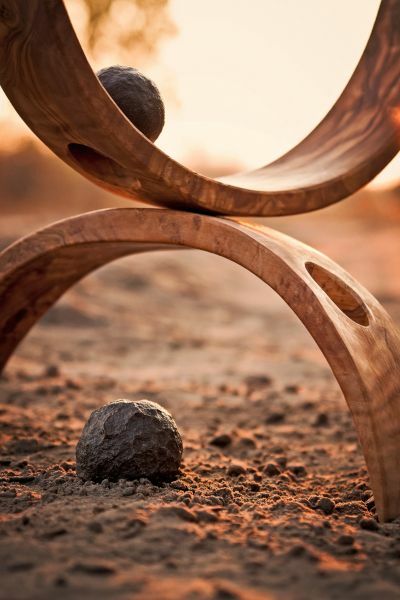 What is often interpreted as strict and formal by Western cultural standards is actually a much broader examination of how the environment you are in will effect your ability to appreciate the tea and connect with your guests. As we mentioned in our blog post on the History of Matcha, tea made its way into Japan some 400 years before the creation of the tea ceremony via the Zen Buddhist Monks and their cultural exchange with China. The creation of the tea ceremony came during the period of the first samurai and shogun in Japan (1192-1333 C.E.). The Zen Buddhist Monks would prepare matcha for each other and themselves before sitting for long periods of meditation. This practice continued and would be shared with the royal court in Japan for many centuries before being adopted formally by the royal court under the reign of Toyotomi Hideyosi (1585-1598 C.E.). It was also during this time that the ceremony and its steps where formally documented by the Zen Buddhist monk Sen Rikyu. The Buddhist Monks that developed the tea ceremony paid a lot of attention to the environment around them as they drank the tea and shared it with their colleagues and friends. The environment was to be pleasant but not over stimulating. So artwork was carefully chosen and only a few pieces hung. A small but carefully chosen flower arrangement was often included on the table with the tea utensils. The bamboo mats and cushions for guests where to provide protection from the cold floor so they could concentrate more easily on each other and the tea. The tea bowl and utensils where also chosen to fit with the artwork. The goal was to have everything fit together to provide a peaceful environment that would allow everyone to enjoy each other and the tea. What is often lost to Western cultural is that after consuming the tea, the host and guests would often discuss the artwork, practice calligraphy together, and spend time discussion intellectual pursuits. The practice of the Japanese Tea Ceremony continues around the world. There are schools, in Washington, DC it is the Chado Urasenke Tankokai Association, that not only teach the preparation of the matcha but include how to do the ancient calligraphy, flower arrangements and play traditional Japanese instruments. So broaden your horizons by taking a class and learning more about this part of Japanese culture. 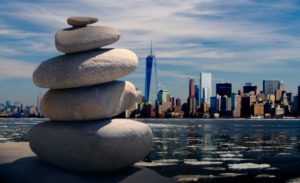 We’re tempted to say that those in our area, the Metro Washington DC region, could all use an excuse to destress. But really, the DMV doesn’t have a monopoly on stress right? High stress has been linked to all kinds of health issues and occurs globally. One paper suggests that, globally, 500 million people are stressed but don’t realize it and aren’t getting help (Stress, work and mental health: a global perspective, PubMed). This paper suggest that, among other causes, stress comes from rapid social changes and the time-compression of modern life. Regardless of its cause, enjoying tea can be a great way to reduce stress in your life. Here are just a few of our thoughts on how to incorporate tea into activities to reduce stress. Sit down to appreciate one cup of tea every morning. Don’t just grab a travel mug and run out the door. Instead, deliberately think about the tea you want that morning, take time to smell the dry leaf and try to pick out the different aromas. After steeping, inhale deeply the aroma of the infused leaf (stick your nose right into the infuser basket) and again think about the aromas that come to mind. Finally, sit, don’t stand, and enjoy the first mug of tea. Whatever you do, don’t turn on the TV, radio, or read the news online until after that first cup. Have a tea party with friends and family. Grab a tea pot, make a large batch of something special but make an experience of it. Put the loose tea in a small bowl and pass around for everyone to smell before infusing. 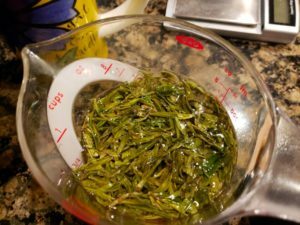 Once you have finished infusing don’t just toss the leaf. Consider pouring the leaf into the same small bowl and pass around for all to inhale the fresh brewed leaf. Curl up with a good book and a pot of tea. Not sure anything else needs to be said really. Just a good tea and a book that is a bit of an escape goes a long way (step away from your phone). If you really want to go the extra mile, pick up a tea tray, small cups, and a gaiwan or yixing teapot and prepare something special. Making tea in this way produces many small infusions, shared in small cups. It takes a bit of time, intentionally, and allows for appreciation of both tea and company (or family). Morning cup (or three) of tea of course. But we like lots of variety so we don’t stick to one type of tea every day. We like to mix it up so sometimes that means green, sometimes black, puerh, or really whatever we are in the mood for. To-go thermos of tea for our son to take to school. We remember the days when you had water from the fountain or milk at lunch and that’s it. No more – even elementary school kids bring a thermos with something – ours likes his morning Sencha. We switch to caffeine free tisanes (herbals) mid-day or, shocking we know, water. We just sleep better by cutting out the caffeine by midday, even if the caffeine in tea is less jolting. We love iced tea in summer. Technically we do cold brew. Throw some leaf into a jug of water at night, place in the fridge, and viola, fresh iced tea for the family in the morning. We stop and smell the roses on the weekends. 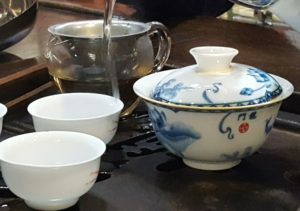 Meaning, this is when we tend to pull out the special teas we want to enjoy like Japanese Gyokuro, fresh Tieguanyin (in season), or a rare puerh from Yunnan China and to enjoy using traditional teaware. Yes, this takes more time, but it is great way to use your tea to slow down and enjoy the moment. 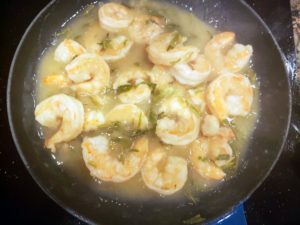 Finally, cooking with tea! This is always a fun way to explore in our house with everyone getting a chance to taste, compare notes, and decide if its something we would make again.